Put an email copywriter on your campaign and watch your response rate. Hello, I’m Ian Dove and I write emails for companies and organisations all over the world. 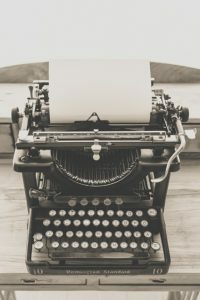 Specifically organisations that have had the wisdom to build an email list of clients and prospects and need a copywriter who specialises in writing engaging copy. If you haven’t done that yet, I urge you to begin. Today! Hell’s teeth I’ll even help you do it. Let me be clear, I am specifically a copywriter for organisations that want to make more sales with email, usually, a LOT more sales. That’s my bag, my ‘thing’. You might be saying: I know what Email is but what’s a Copywriter? I’m sure you would agree that the lifeblood of any business is the sales it makes – no sales – no business. Think of all the effort you go to, to promote your business, particularly online where someone takes a look at your website then leaves, never to return. How frustrating is that? If you’re anything like me, it leaves you baffled and almost angry, and I’m a copywriter, I can do something about it. They might really be interested in what you do, but as a customer – forget it, you’ve lost them. You need to keep in contact with people who come to your website, buy from you, or show some other interest: after they have left your website. And the single most cost effective way of doing that is through email – yes, even in 2018. A copywriter can help you with that. A copywriter trained in direct response who knows how to tap into the hopes and fears of a market. So, even today, all your efforts should go into getting the person’s email address. Do what you have to. Shamelessly bribe them if you have to. Promise them first dibs. Preview invite. Vip access. Anything to get them to give you their email. So, you might be saying… well, what about facebook likes and twitter mentions, I have loads of them. But hold on there, things aren’t quite as rosy as they would have you believe. As an email copywriter I feel quite strongly about this. The problem with social media, and a cautious warning. But there’s One slight problem. To reach ALL the people who follow you, you have to pay to ‘boost’ your post, and it works out to be quite a lot of money actually, that’s for every post you make. Or in other words, they control your list. if they suddenly decide to stop allowing you to do that, there’s nothing you can do about it. But a bigger problem with Social Media is that people look to it for FUN. They don’t respond so well when you are trying to make sales on social media platforms. But Email: different story. It is serious, everyone has an email account. It’s virtually impossible to do anything on the internet without an address and people do read their email. Or at least they read the messages that mean something to them, and that’s where an email copywriter comes in. There is nothing more powerful than building a list of people’s email addresses and mailing it regularly. I know that this might not sit well, but there are very good reasons to email as frequently as every single day. The chief of which would be that it works. But your own experience, what can that tell you? You receive ‘50% off’ and ‘buy this now’ offers all the time, I’m sure. Be honest. How often do you respond to emails like that? If you are honest, Not very often, if at all. Even worse, as a copywriter I see ones that are no more than an easily deleted business card. So the emails you send from your organisation have to be different. The reason is: yes these people probably would have happier more fulfilled lives if they had your product but (and this is a big thing) they don’t want to be sold to. That’s where an Copywriter comes into the picture. A good email copywriter will weave a story, or talk about a movie or construct a testimonial based email. All wrapped around and pointing to your product in a fun and engaging way. What you want is to have your emails go out written in a way that people actually look forward to receiving and reading. These emails get read and responded to. There’s a lot of resistance to this, I guess people do get a lot of rubbish but get the content right and it works, oh my does it work. People also get really hung up on things like open rates, marketing campaigns and subject lines. A recent DMA report on ad spending Return On Investment showed email at 122% and social media lagging somewhat at 28%. Clearly this goes to reinforce the truth that email is taken seriously but social media is far less serious. But let’s put that evidence aside for now and ask another question. What do people want? What do your prospects want? Most of the time, the truth is, they have already put their hand up and said, “I want this”. Just by agreeing to join your list. By continually emailing them you’re reminding them of that. Think that 90% of people who will buy, aren’t ready to buy now. People will buy when their motivation exceeds their resistance. Then they have no problem in seeing the value of your product or service and act accordingly. Especially if you have also entertained and educated them in a fun way. Put a trained email copywriter on your campaign to create engaging, fun and interesting emails that get read, and opened, for YOUR business. To begin enquire right now. Every 2 Months (6 per year) £100 Per Month. Every Month (12 per year) £180 Per Month. Every day (365 Per Year). Follow - up with prospects after they sign up. Upsell after they buy something.